There are certainly some parents or people who do not deserve to have children because they do not take care of them. The cruel irony is that there are also responsible couples who want to have children but couldn’t. It is rather unfortunate that children are forced to live in such a cruel world. One deplorable example of this is when one woman from Florida leaves her kids in her car with meth just to go shopping. During a hot noontime in Hudson, Florida, the police responded to concerns regarding two children who were left inside a car. So they checked for the welfare of the said two kids, one was only a year old while the other was 7-years-old. They were also shocked to find out that apart from the air conditioning being turned off, there was also a small clear bag containing a crystal-like substance sitting on the driver’s seat. Upon testing the said substance, it was revealed to be methamphetamine, something which the two kids could have easily reached and swallowed during the absence of their mother. The two were left in the car for nearly 30 minutes. The police then located the mother of the two kids, named Nicole Buffington who was shopping in the nearby Dollar Tree store. 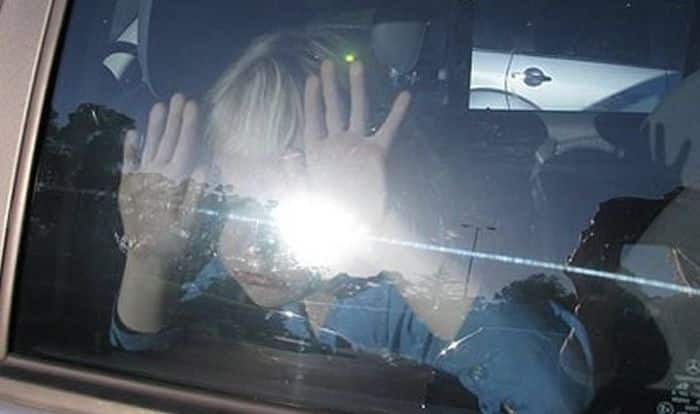 Nicole was promptly charged with child neglect and possession of meth and transported to the Land O Lakes Jail. It was not revealed whether the two children had other relatives they could stay with or were taken into the care of social services.